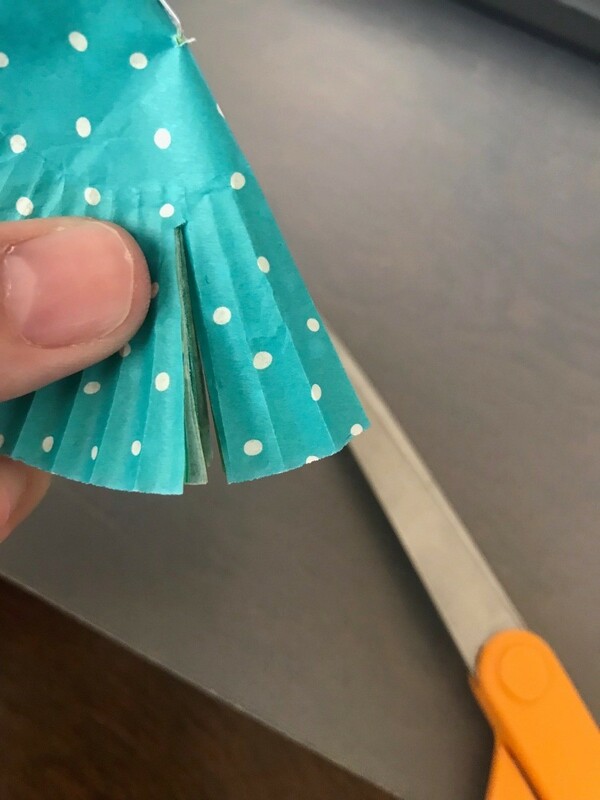 Need a quick present topper? 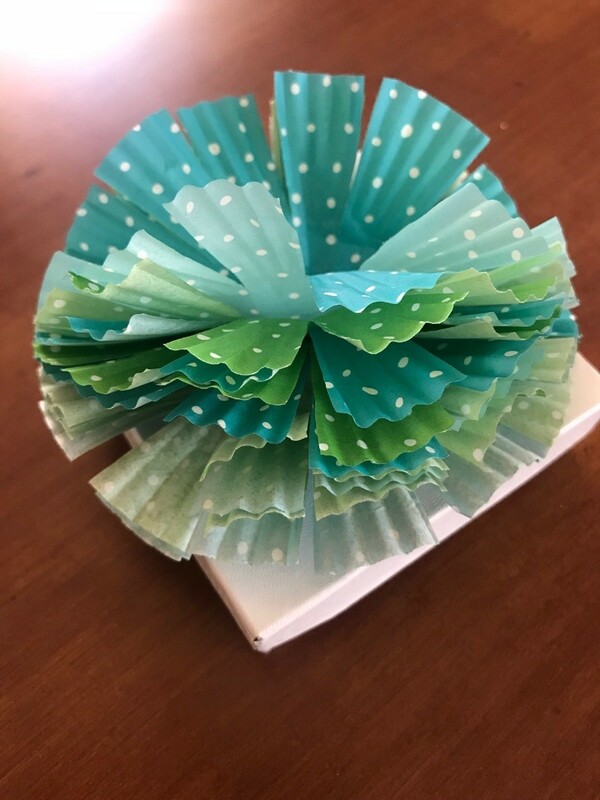 You can make one out of cupcake liners. 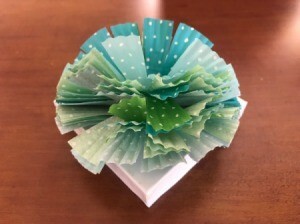 You'll have yourself a one of a kind present topper and it also helps cover the flaws of your box too (if you have one like mine). 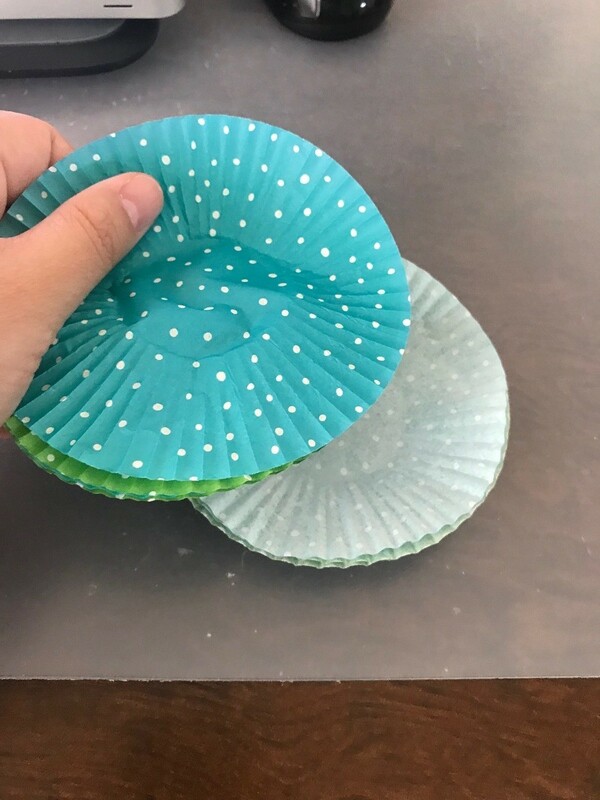 I used 8 cupcake liners - 4 in green and 4 in blue. 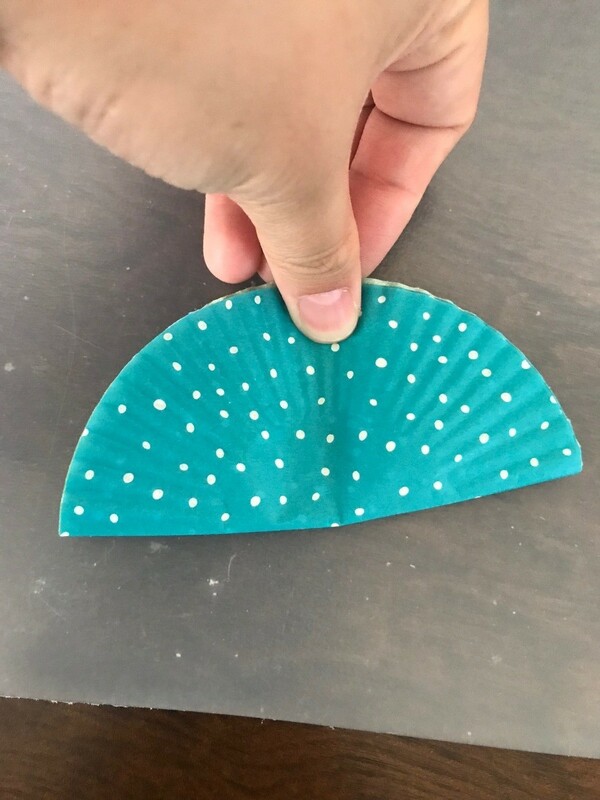 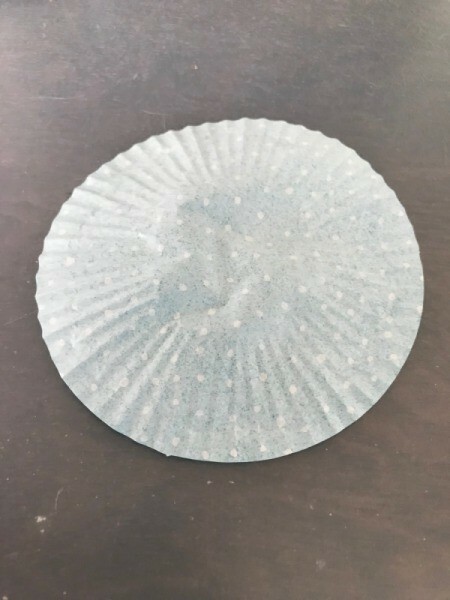 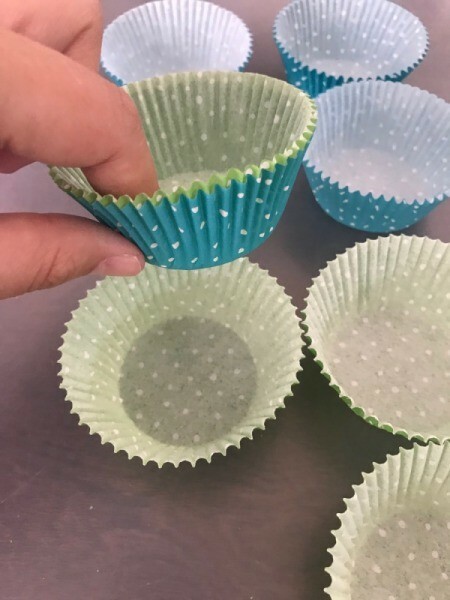 You want to flatten each cupcake liner. 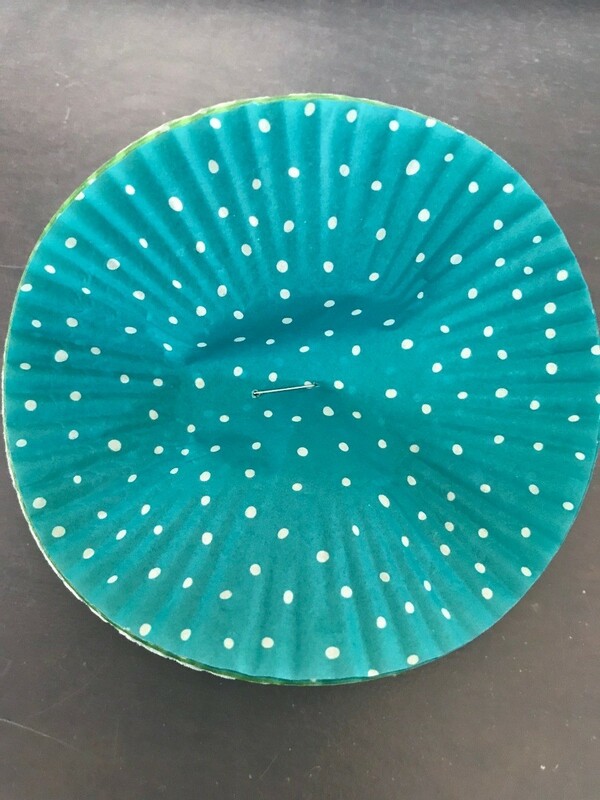 I stacked the cupcake liners with alternating colors, blue and green. Cut slits around the cupcake liner. 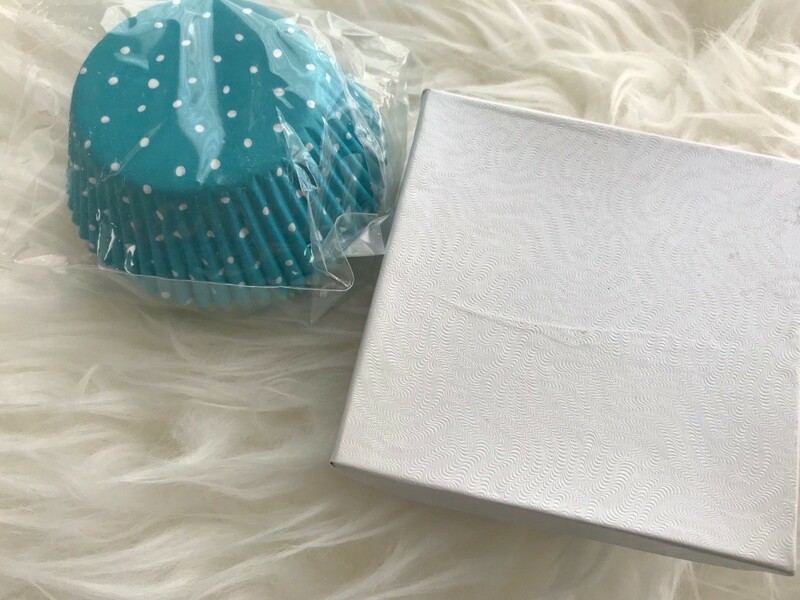 Pouf your present topper to your desired liking and secure down on your box.